Book of the Week Book of the Week: A Pick by Christopher J Johnson Christopher J Johnson selects Photo Concepts 1970 ---> by Hans Eijkelboom as Book of the Week. Photo Concepts ---> 1970. By Hans Eijkelboom. Snoeck, 2017. 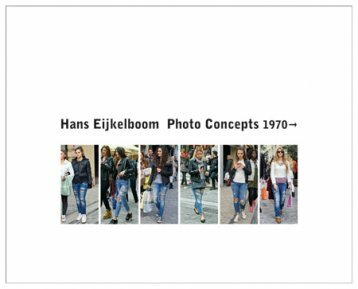 Christopher J Johnson selects Photo Concepts 1970 ---> by Hans Eijkelboom from Snoeck as Book of the Week. "Hans Eijkelboom is a photographer in line with my own preoccupations; he’s someone interested in people and, within that interest, how we can be no one, everyone or, seemingly, ourselves – the unique and self-aware individuals that we are. His most well-known series explore the similarities and differences in people and their fashions from around the world; he goes to New York, to Shanghai, to Sao Paolo and gathers images of people in busy downtown centers. He then goes through all of the photographs and arranges them by clothing style (or handbag style or some other variety of garment or action or situation) to categorize them; what we learn from these different series is that we are both not as uncommon as we may feel, but also less general than we first appear. What do I mean by that? In these series, it is the similarities that are the most immediately striking from person to person, grid to grid, but it is the differences from person to person that redeems these images after repeated viewing. Eijkelboom, I think, is not trying to show how we’re “sheeple,” but rather that occupation, geographical location, and all the manufacturing entailed in that (available department stores, the awareness of local fashion trends and etc.) wants to make us more general, wants to appeal to our broader sensibilities, but it is the totality of our person that gives us expression – our fashion, yes, but it is also our facial expressions, the people we travel besides, our color choices and other nuances that make up our unique styles person to person. Not a single one of the images finds two people to be identical neither in dress nor, not even by coincidence, could it; a testament to too many options? In a city like Paris or New York – perhaps, but I like to think it is because our individuality is something innate, something that we can’t avoid or hamper – not even if we wanted to; after all, some will wear gold cufflinks, some silver and yet others will wear wood or plastic or copper cufflinks or a form of antiquated cufflink that has been painted with hazardous lead paint because the person that wears them is into the antiquated and antiquation suits their style or their hair color or the curve of their chin – who’s to say and likely the individual doesn’t know themselves… But this is precisely what individuation is. Christopher J Johnson lives in Santa Fe, New Mexico. 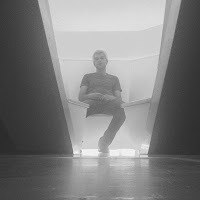 He is a resident writer for the Meow Wolf art collective. His first book of poetry, &luckier, has been released by the University of Colorado. He is Manager of photo-eye’s Book Division.